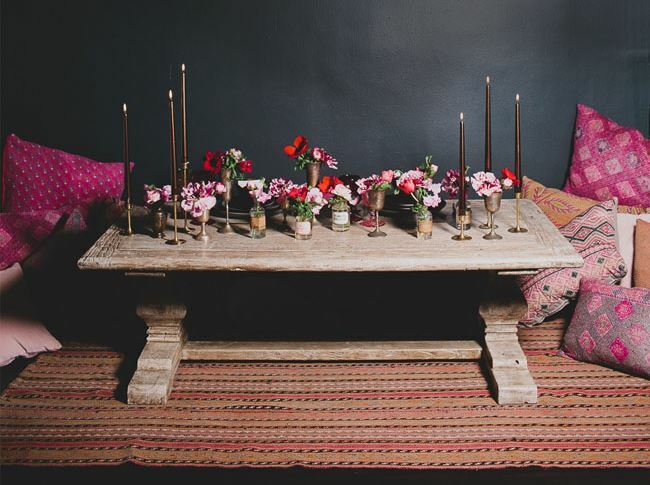 Getting creative with your decor requires thinking outside of the box. 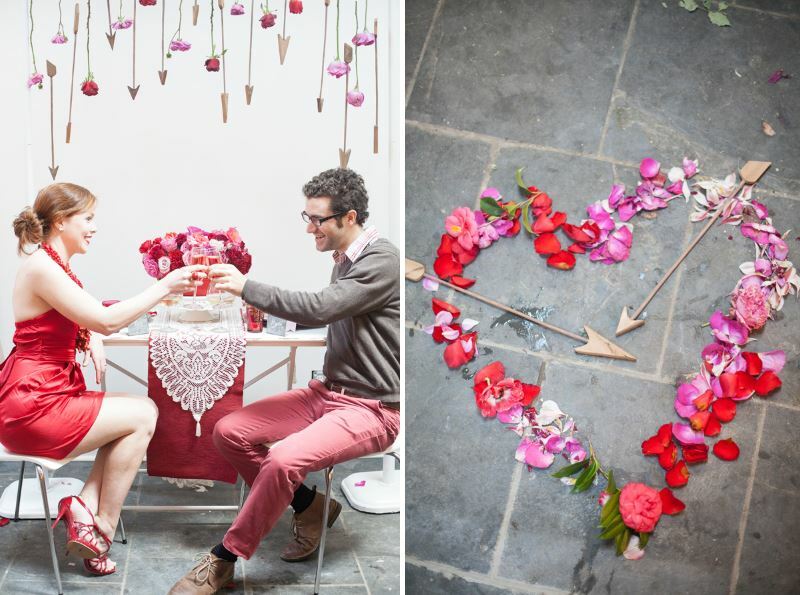 The hanging arrows and blooms below (left) definitely put an unforgettable spin on this Valentine’s Day shoot from Anissa Manzo of Urban Poppy and Obscura Photoworks (featured at Ruffled). 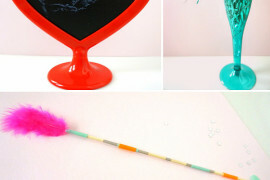 Don’t feel like suspending arrows from the ceiling? 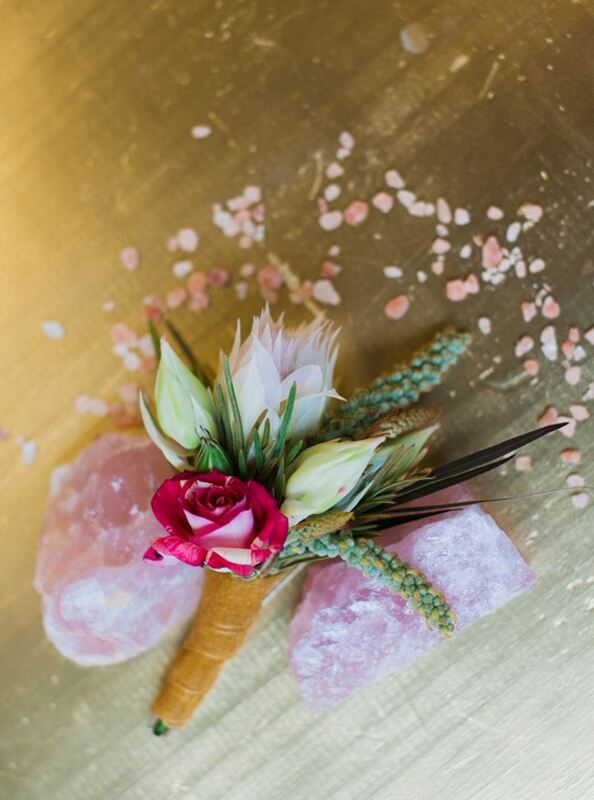 Try a simple tabletop arrangement of petals and arrows (below, right). 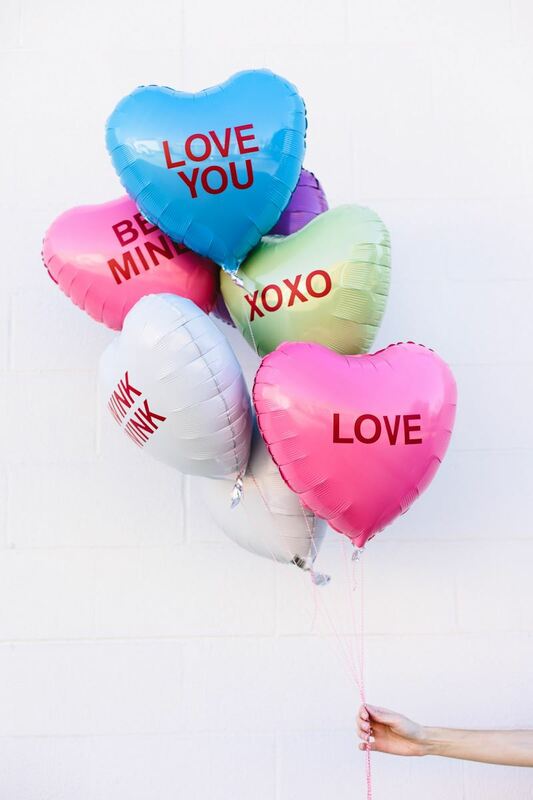 Fill up on nostalgia with these DIY Conversation Heart Balloons from Studio DIY. 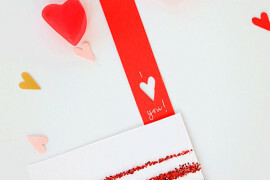 Decorate Mylar heart balloons with red letter stickers, and you can channel the look of classic candy while adding a festive touch to your party. Sometimes the best way to enjoy February 14th is by spending the night in with friends, or your date. 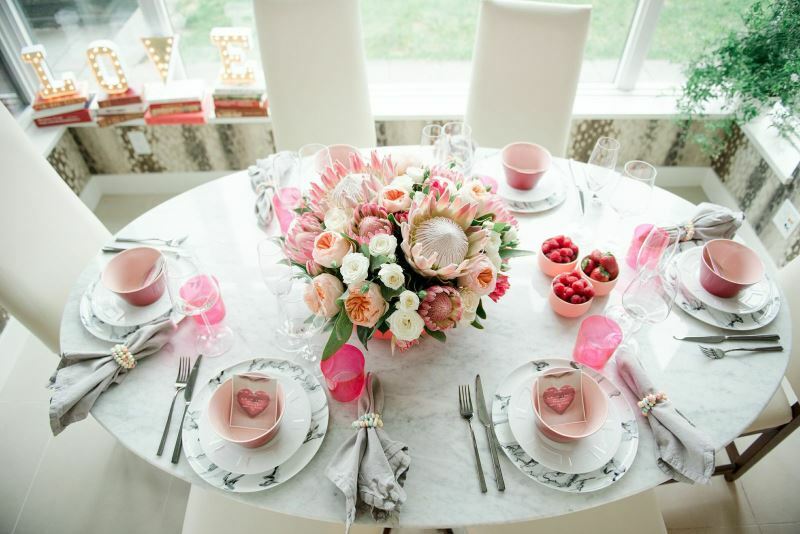 In fact, this Valentine’s Day date night from Green Wedding Shoes is extra special, thanks to simple ingredients such as a coffee table, pillows, bud vases and candles, as well as great recipes such as baked mini strawberry donuts and chocolate bourbon strawberry shakes! 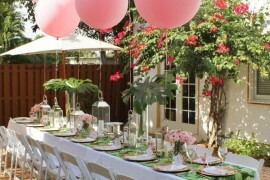 Next up: party food and drinks! 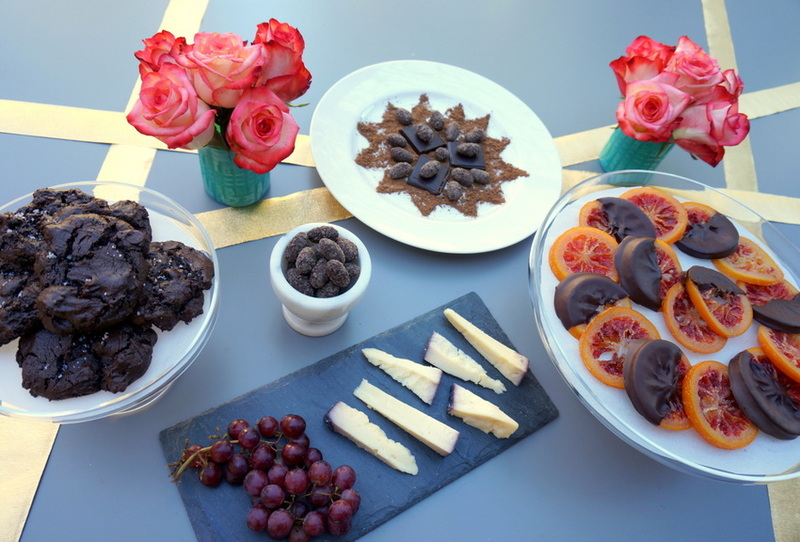 Remember this chocolate dessert feast I recently created for Decoist? 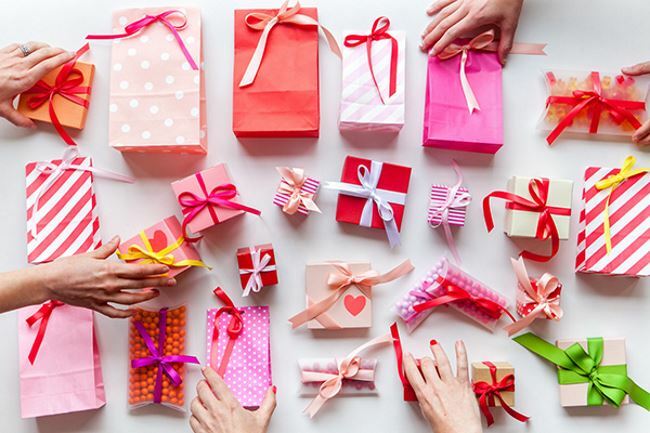 It illustrates my favorite party rule: make something, buy something. I made the candied oranges and dark chocolate sea salt cookies. I bought the cheese, fruit, chocolate-covered almonds and chocolate bar. Oh, and this whole feast was inspired by the film Chocolat. See more photos and read all about the food here. 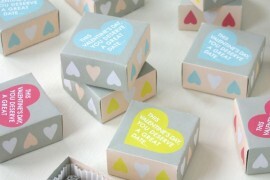 I heart confetti, don’t you?! 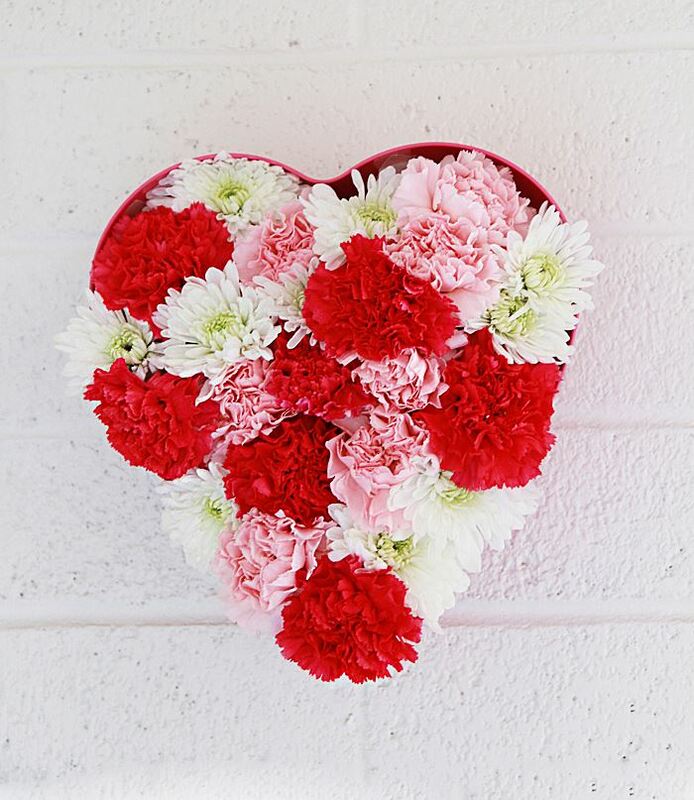 That’s why these confetti hearts from A Subtle Revelry caught my eye. Use them to top the baked goods of your choice. 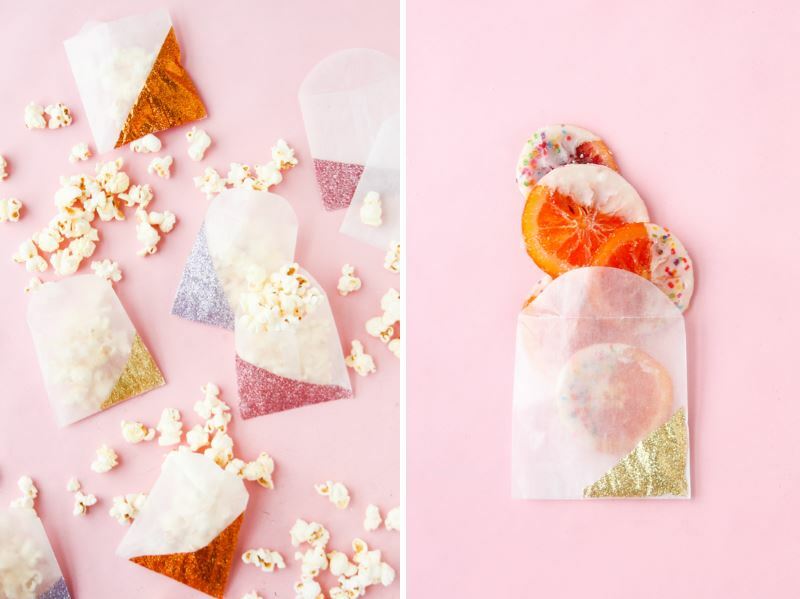 They’re an instant embellishment, and they’ll give a homemade look to store-bought treats! 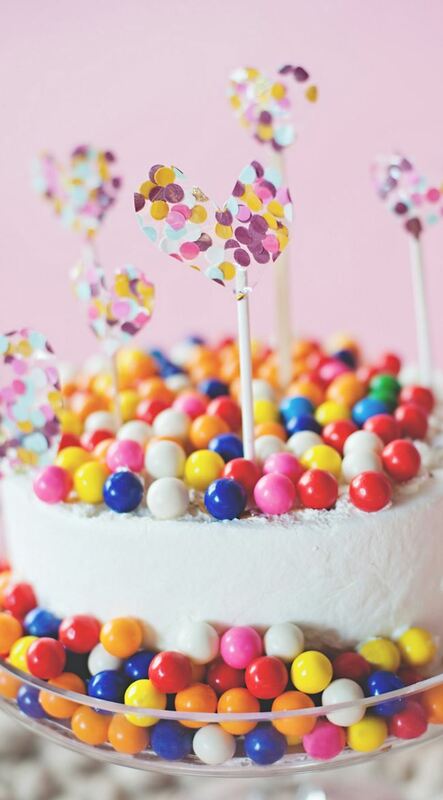 Speaking of decorating, how fabulous is this gumball cake decorating idea?! 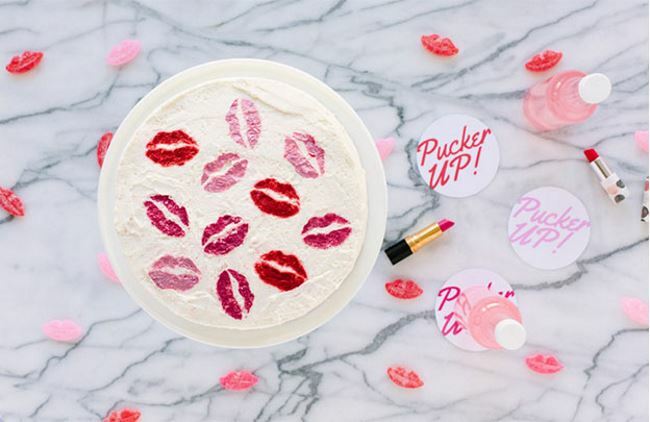 Another cake decoration idea: this stenciled kiss cake, featured at a Pucker Up Valentine’s Day Party from Studio DIY. 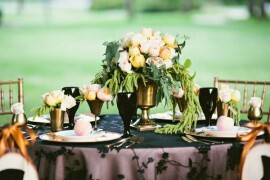 A lip stencil and edible pearl dust are the keys to success here. 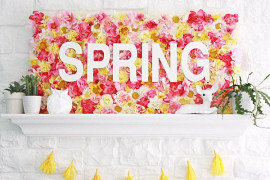 To view free printables and a tutorial from Studio DIY, head on over to Balloon Time. We can’t forget the power of a special beverage. 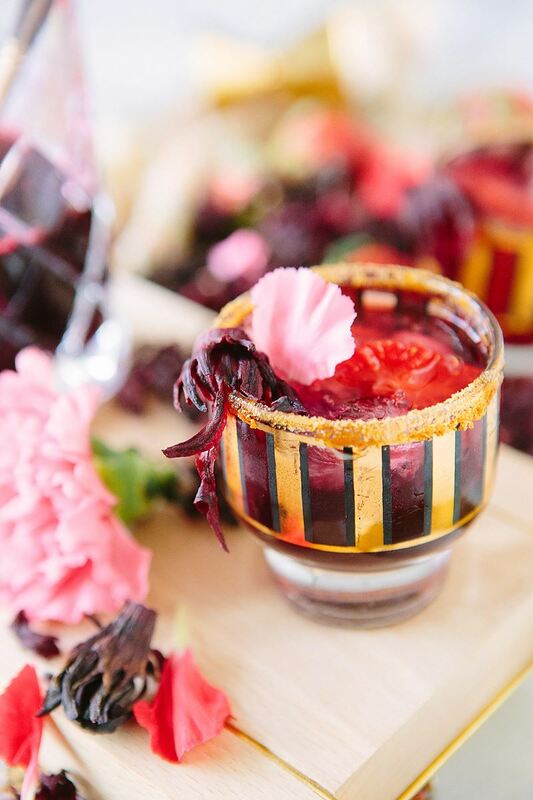 If you caught my recent post on creative Valentine’s Day ideas, you may already have some fun cocktail plans, but here’s one more to try: strawberry hibiscus rum punch from A House in the Hills, in partnership with Farra from The Hostess Haven. Special ingredients such as dried hibiscus, honey, white rum and coconut sugar make this drink a real party treat! 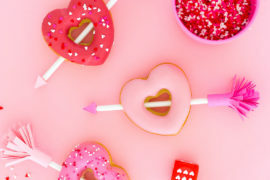 I’m heading to the grocery store tonight, and I’m ready to stock up on delicious ingredients for Valentine’s Day. Thanks to the images above, I’m filled with inspiration. 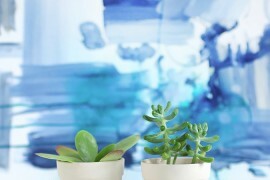 I hope today’s post has inspired you too!